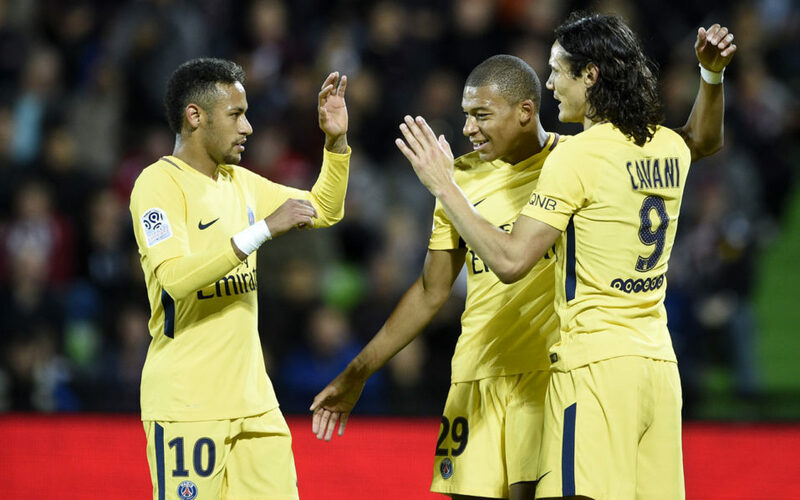 Paris Saint-Germain kick off their latest bid for Champions League glory at Celtic on Tuesday bolstered by the big-money signings of Neymar and Kylian Mbappe. The French giants will be hoping that their lavish close-season spending can help finally achieve their Qatari owners’ dream of lifting the European Cup. PSG responded to last season’s disappointments of losing the Ligue 1 title to Monaco and their stunning Champions League last-16 defeat at Barcelona, by smashing the world record transfer fee with the 222 million-euro ($267m) signing of Neymar from Barca. While Qatar’s billions produced four consecutive French titles from 2013-2016, that form has yet to translate to European competition. PSG’s last, and only, Champions League semi-final appearance was in 1995, with four straight last-eight exits followed by the harrowing 6-1 second-leg loss at the Camp Nou earlier this year, having beaten Barca 4-0 in the first game. But with the additions of Neymar and Mbappe, hopes are high that Unai Emery’s men can put their continental troubles to bed. “We are more than ready for the Champions League,” said defender Thomas Meunier after a 5-1 thrashing of Metz on Friday. “We are a very good group, we can see that on the bench today with all the options we have. Teenage sensation Mbappe joined from Monaco on deadline day on a season-long loan, with an option to buy for a fee that could reach a staggering 180 million euros. “It’s too early to say (how far we can go), we haven’t even played yet,” said Mbappe, who scored on his debut against Metz. “We have a good team and a lot of confidence, but we know that there’s still a lot of work to do. We’ll go to Glasgow to win and to start well. PSG will have their European credentials tested by what promises to be a spine-tingling atmosphere at Parkhead, as Celtic look to cause an upset in Group B after an underwhelming return to the Champions League group stages last season. Brendan Rodgers’ men have gone from strength to strength since the turn of the year, and are unbeaten in their last 54 domestic matches. “What we’ve learned from our first game of the Champions League last year is that we’re not going to be as passive,” said Rodgers. “They’re (PSG) a world away from where we’re at in terms of finances but it’s going to be an incredible night. “It’s the first game of the Champions League against one of the great teams now of the competition, it will be another special night at Celtic Park. PSG’s fellow wannabee members of the European elite, Manchester City, came unstuck with a 3-3 draw at Celtic Park last season, and the Scottish champions still have the potential to be a danger on home turf. While Celtic won the 1967 European Cup with a 15-man squad made purely of players born within 30 miles of their stadium, Paris have flung an expensive net far and wide in an attempt to emulate the likes of the ‘Lisbon Lions’. Over 50 years since Celtic’s finest hour, PSG are fed up of waiting to dine at football’s top table.